Kate Hawkesby: What a dag! Is this really how Labour MPs dress? Thursday, 31 January 2019, 7:14a.m. Sartorial elegance was in 'short' supply at yesterday's retreat. 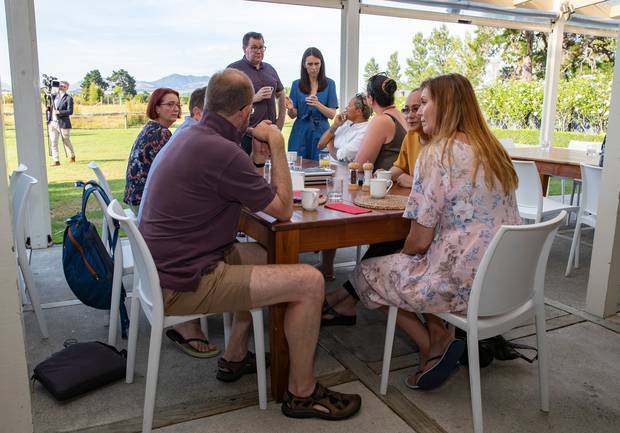 The Labour caucus retreat was in Martinborough yesterday, you may've seen it on the news, but here's what I found weird about it: Why was Trevor Mallard there? Isn't Parliament's Speaker supposed to be neutral? And why did he turn up in a Hawaiian shirt and Bermuda shorts, no less. I know we're having a heatwave, but that was a crime against fashion. I just don't get how the Speaker of the House is hanging out with the Labour Party over drinks and nibbles, like he's one of the family - yes he is a Labour MP, but he's not supposed to look like he is. He's supposed to be impartial. So that was weird. Also weird was Iain Lees-Galloway - most famed for botching the Karel Sroubek affair and causing ongoing embarrassment, headlines and headaches for the Government. He turns up wearing a slogan T-shirt saying, "I'm the boss guy". For a man widely presumed to be a bit arrogant and suffering delusions of grandeur around himself, that was a bit off. Not Melania Trump's infamous "I really don't care" jacket, but close. Slogan T-shirts are for teenagers attending music festivals, or one-year-olds. Ones that say, "I'm the boss guy" are really only for under the thumb dads at Christmas, as a joke gift from the kids. But for an embattled Immigration Minister who was seemingly at war with his own department over who was responsible for the Sroubek mess? No. 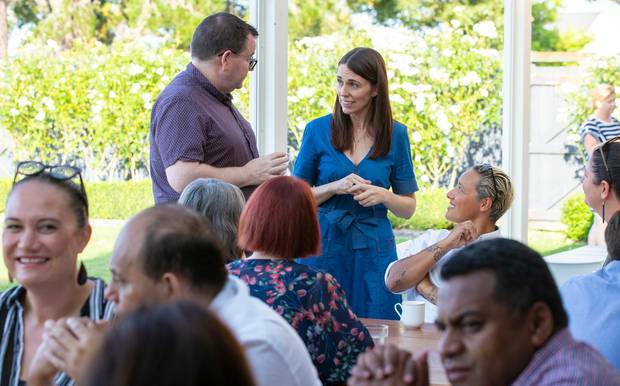 Jacinda Ardern's baby Neve was also there - I don't know why, I'm not sure if other people's kids were there, but let's not call that weird because we'll be lynched. So the Labour caucus retreat kicked off with a supposed-to-be-impartial speaker in a Hawaiian shirt, an Immigration Minister known only for his bungles wearing an 'I'm the Boss' T-shirt, and a baby. When it came to the business end of things, Ardern proclaimed this is the year of delivery - and clearly she didn't have KiwiBuild at the top of mind when she promised that. The many reports ignited last year are going to be looked at and acted upon.. most notably tax. But also mental health, child wellbeing (remember 'wellbeing' is the catch word for this Government this year) and focus on the zero carbon law. So a lot of promises made around delivery, which sets the course for actually... having to deliver. Which will be a true test for this Government this year. Especially given what we've seen already with KiwiBuild. So they're in 'delivery mode' as Ardern put it, and in a critical year for her Government. I'd grab the popcorn now if I was you, it'll be an interesting watch.